Check out Tobi's Frasier Sterling Malibu Mami Earrings You'll fall for the Gold Malibu Mami Earrings by Frasier Sterling. With heart studs at the earlobe and large 3D hearts dangling below, these statement earrings are a fun way to add polish to any outfit. We adore the 80s vibes of these chunky dangling earrings. 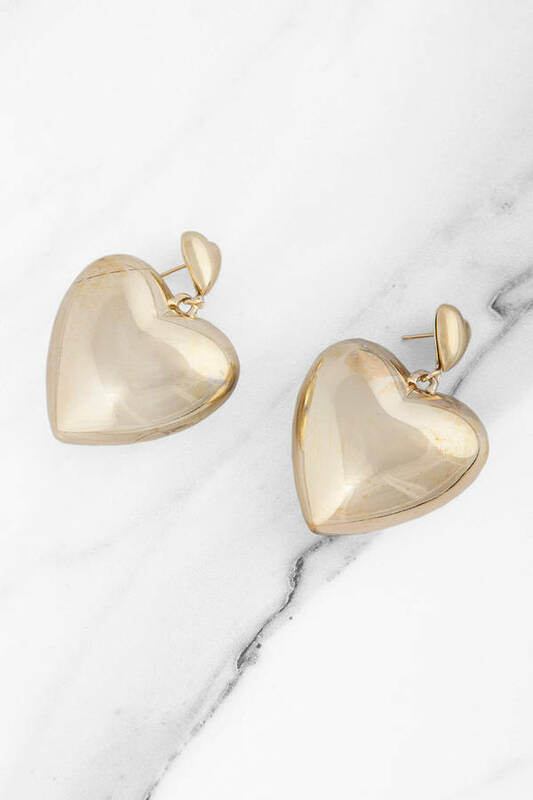 You'll fall for the Gold Malibu Mami Earrings by Frasier Sterling. 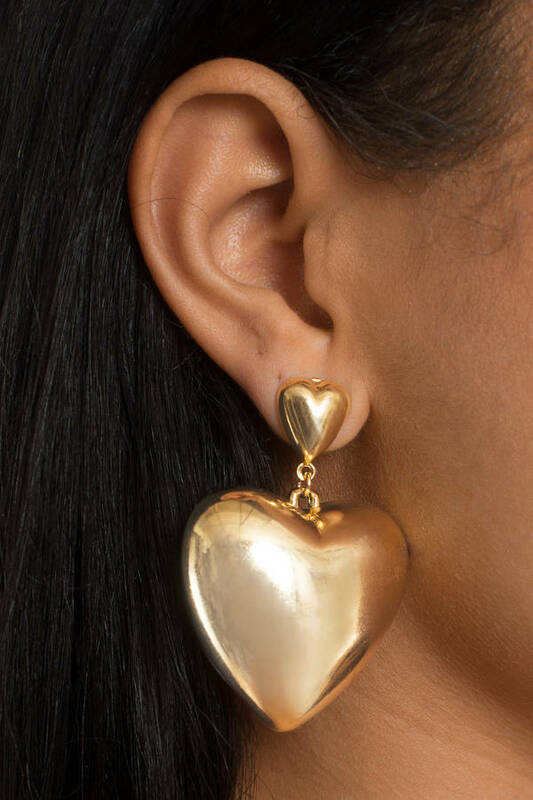 With heart studs at the earlobe and large 3D hearts dangling below, these statement earrings are a fun way to add polish to any outfit. We adore the 80s vibes of these chunky dangling earrings.